This Tuesday, November 20th, the fabulous, prolific Meg Cabot, will be our guest blogger at The Debutante Ball. With a huge career, including nearly fifty books to her credit, we’re certain Ms. Cabot can dance circles around us – and happy to have her do so! Check out her bio below* and come see what she has to say on Tuesday. On the subject of authors named Meg, the Debs are also thrilled to announce that author (and former actress) Meg Tilly will be our guest on December 6th. Ms. Tilly’s first YA novel, Porcupine, has just been released and she is also the author of two acclaimed adult novels, Singing Songs and Gemma. Talented writer A.S. King sold her young adult novel, The Dust of One Hundred Dogs, to Flux, with a publication date of spring/summer 2009. Our hats off to Stella for this fantastic news! * Meg Cabot’s Bio: Meg Cabot was born on February 1, 1967, during the Chinese astrological year of the Fire Horse, a notoriously unlucky sign. Fortunately she grew up in Bloomington, Indiana, where few people were aware of the stigma of being a fire horse—at least until Meg became a teenager, when she flunked freshman Algebra twice, then decided to cut her own bangs. After six years as an undergrad at Indiana University, Meg moved to New York City to pursue a career as an illustrator, at which she failed miserably, forcing her to turn to her favorite hobby–writing novels–for emotional succor. She worked various jobs to pay the rent, including a decade-long stint as the assistant manager of a 700 bed freshmen dormitory at NYU, a position she still occasionally misses. She is now the author of nearly fifty books for both adults and teens, selling fifteen million copies worldwide, many of which have been #1 New York Times bestsellers, most notably The Princess Diaries series, which is currently being published in over 38 countries, and was made into two hit movies by Disney. In addition, Meg wrote the Mediator and 1-800-Where-R-You? series (on which the television series, Missing, was based), two All-American Girl books, Teen Idol, Avalon High, How to Be Popular, Pants on Fire, Jinx, a series of novels written entirely in email format (Boy Next Door, Boy Meets Girl, and Every Boy’s Got One), a mystery series (Size 12 Is Not Fat/ Size 14 Is Not Fat Either/Big Boned), and a chick-lit series called Queen of Babble. Meg is now writing a new middle grade series called Allie Finkle’s Rules for Girls, as well as an edgy new YA series called Airhead, both of which debut in Spring of 2008, for Scholastic Books, as well as a new paranormal series, Abandon, which debuts in summer of 2009. Meg currently divides her time between Key West, Indiana, and New York City with a primary cat (one-eyed Henrietta), various back-up cats, and her husband, who doesn’t know he married a fire horse. Please don’t tell him. As always, an excellent lineup of authors! Looking forward to their stints here! p.s. 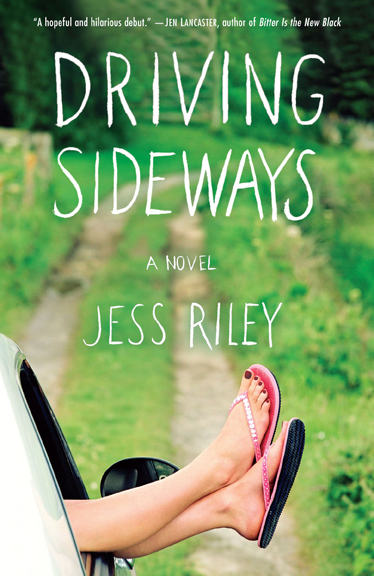 Congrats to Jess on a very eyecatching cover – looks great! and definitely something I would pick up. THANKS for helping us celebrate, ladies!